For its three decades of existence, the Lincoln Town Car was not so much a thing that real people bought as it was a thing that fleets, limo companies, and taxi companies bought. That’s because it was huge, basically reliable, and replacement parts were easy to get. 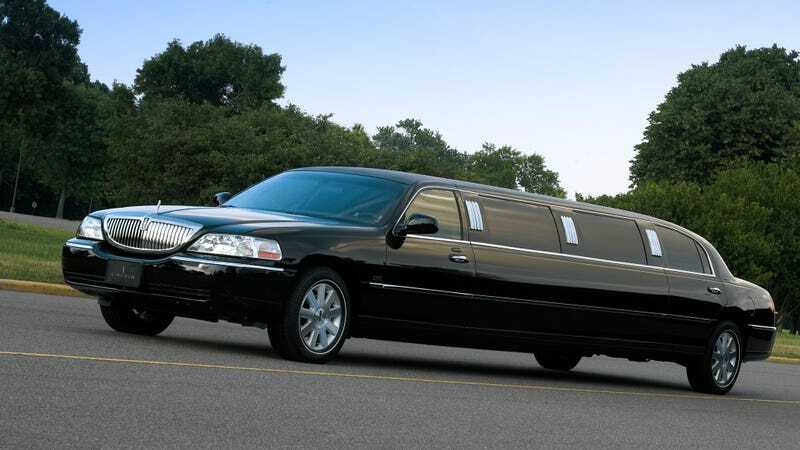 But limo converters liked it in particular for a more straightforward reason: its body-on-frame design meant that they were relatively easy to cut open and stretch out. All of this meant that some huge percentage of limos were Lincoln Town Car conversions, all completed aftermarket but given upgrades at the factory beforehand. With its ladder-style chassis, the Town Car was ideal for limousine conversions. Basically, all you need are a plasma cutter and a Sawzall to chop the frame rails in half. Then you use box sections of steel tubing to sleeve and stretch the frame by four standard lengths — 70, 85, 100, and 120 inches, which is the maximum Ford allows under its Qualified Vehicle Modifier certified program. The Limousine Builder’s Package, known internally at Ford as code 418, comes with a heavy-duty suspension, engine and transmission coolers, a stouter alternator and battery, and wiring-harness extensions so that even hooking up the electronics on a stretched limo is more or less a matter of plug and play. “It’s really just [automotive] carpentry,” says Lou Saif, the New York service manager for Royale Limousine. Maybe you’ve been inside one of these before. I have once, years ago, and the whole experience was pleasingly vintage, the car version of the movie Wall Street. Michael Douglas wasn’t there, and there also wasn’t an eightball of cocaine, though there was a bottle of champagne for some reason. The limo appeared somewhat magically in the West Village, when me and seven of my friends were trying to get uptown one night. It got the job done, of course, in style.